CHERRY LOG, GA – FYN has obtained the 911 call from the passerby who attempted to stop and help the 61-year-old Kathy Nichelson who was injured and later died from the dog attack. The caller was bitten in his attempt to aid Nichelson. However, he did manage to get away from the dog and back to his car before dialing 911, according to authorities. The call is short but the caller does say the lady was bit on her throat, while he was bit on the chin. Further details are not available at this time, but stay with FYN as further updates become available. 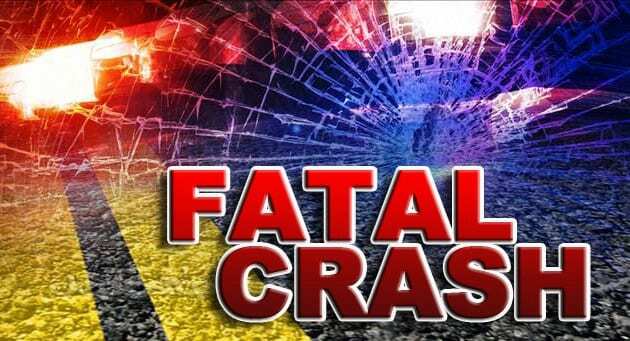 ELLIJAY, GA – An accident on Clear Creek Road occurred Tuesday afternoon, October 17, that has claimed the life of one driver. According to Public Safety Director Tony Pritchett, the accident was located around the area of Fendley Bridge. 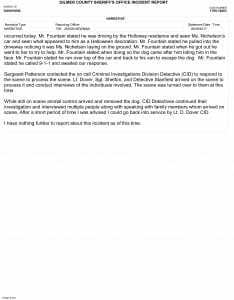 While Pritchett did confirm the death of one female, he tells FYN reports have not come back yet on the extent of injuries for others involved. The one fatality was unable to be revived when emergency services arrived on scene. Specifics on her identity are currently being withheld for the family and an ongoing State Patrol Investigation. However, FYN has confirmed one other vehicle was involved in the accident. 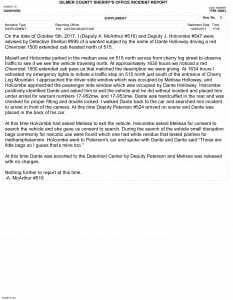 We are also attempting to get more information at this time from the State Patrol Investigation. Stay with us at FetchYourNews.com as new updates become available. 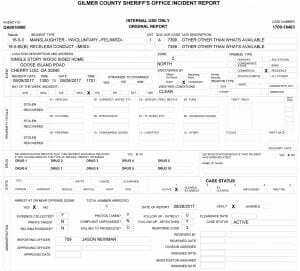 ELLIJAY, Ga – The Gilmer County Sheriff’s Office has confirmed a two-vehicle accident on Highway 382 just past Airport Grocery. Occurring on Sunday, Nov. 19, the accident did shut down the area of 382 temporarily. Gilmer County Public Safety Director Tony Pritchett told FYN that when emergency services arrived on scene, they did confirm the one fatality. Sheriff Stacy Nicholson spoke with FYN, confirming injuries of two others who were both in the second vehicle. However, Nicholson went on to say that much of the details are not available currently as the Georgia State Patrol is handling investigation of the incident. The other two injuries were transported to an emergency room. Check for more details as FYN continues following the investigation. CHERRY LOG, GA – Updates are coming now for the woman found dead in Cherry Log yesterday, September 28. According to the Gilmer Sheriff’s Office, Kathy Sue Nichelson died from an attack by a pit bull on Goose Island Road. 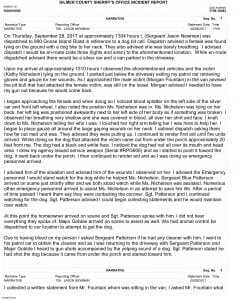 It is now confirmed that a second person was attacked when trying to help Nichelson, but did not receive serious injuries. Deputies were forced to fire upon the animal, according to the Sheriff’s Press Release, killing it. Officials are not releasing details at this time on the dog or its owner, but are assuring citizens that the investigation is continuing. 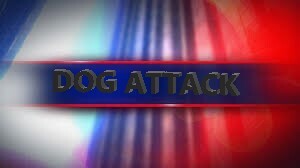 A-61-year old woman died after being attacked by a Pit Bull Thursday, Sept. 28th, at 890 Goose Island Rd. The woman, identified as Kathy Sue Nichelson, was attacked shortly after arriving at the residence. A passerby saw Ms. Nichelson on the ground and stopped to render aid. The dog attacked him as well, and he escaped to his vehicle where he was able to call 911. 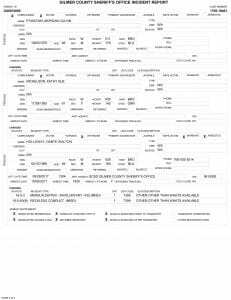 He received non life-threatening injuries. Law enforcement and EMS arrived soon after. Law enforcement attempted to keep the animal at bay while EMS tried to treat Nichelson. During this time, the animal came towards public safety personnel aggressively, and the animal was put down by deputies. An investigation into the animal’s behavior and its owner are ongoing. More information may be available once the investigation is completed. ELLIJAY, GA – Officials have confirmed that one fatality and two injuries resulted from last week’s, August 23, vehicle fire in Highway 515. Unfortunately, the fatality has been confirmed to be a juvenile according to Public Safety Director Tony Pritchett. The other two injuries, both female, we quickly moved to emergency rooms for care. “It’s a very sad situation, and our heart goes out to the family,” said Pritchett. He also told FYN that the vehicle fire is suspected to have been caused by a malfunction in the vehicle, possibly in the fuel line. He confirmed there was no other vehicle involved in the incident and it appears to have simply been an issue with the vehicle itself. However, due to the extent of the burn the vehicle withstood, the cause is officially being labeled undetermined. With units in quick response from Fire Station 1, Pritchett tells FYN he was pleased that units arrived on scene quickly and took control of the situation in a professional manner as they redirected traffic and provided care. 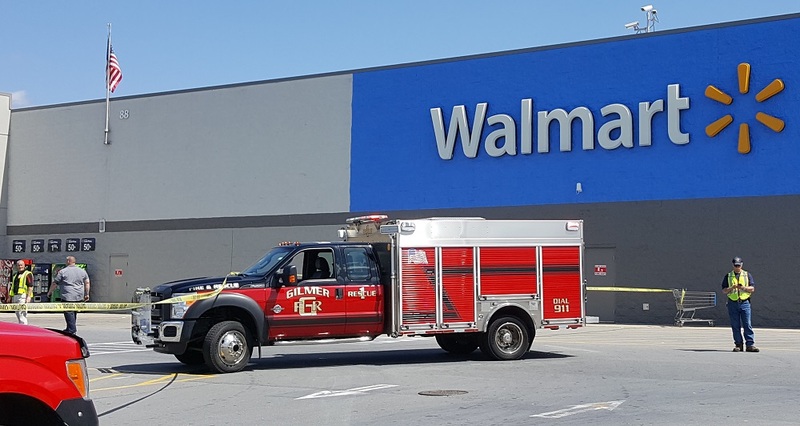 ELLIJAY, GA – Just after noon, a driver in a black Jeep struck another vehicle on the right side of the Wal-Mart parking lot, nearest the Comfort Inn Suites. 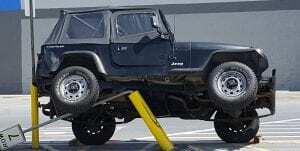 Authorities gave no details on how the Jeep came to rest on the post, but did confirm the driver had to be taken to Kennestone Medical Center. According to East Ellijay Police Chief Larry Callahan, after striking the vehicle, the driver put his vehicle in reverse and struck another vehicle and a pedestrian. The pedestrian was killed in the incident. The driver has since been transferred to Kennestone Medical Center by the Gilmer EMS. While authorities believe the pedestrian to be a local resident, no details are being released to the public. However, Chief Callahan told FYN that the Georgia State Patrol is conducting the investigation. Stay with FYN as we await more details on the situation.